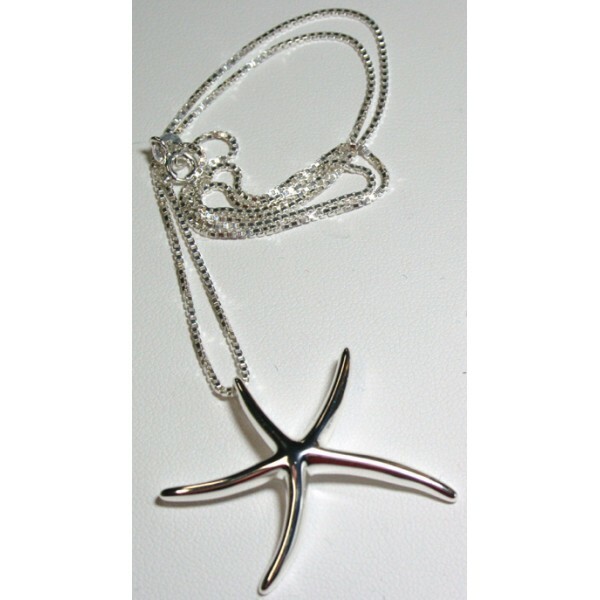 A beautiful Tiffany inspired Sterling Silver Starfish pendant that hangs from an 18" silver chain. The Starfish measures 1.5" from point to point. A great find for your sterling silver jewelry collection.